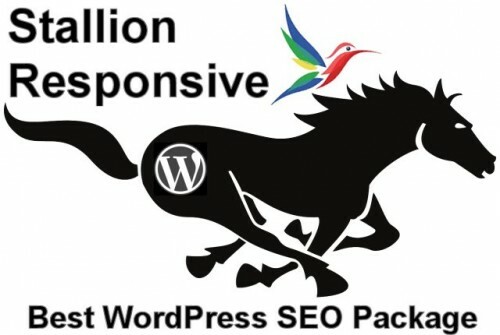 Stallion Responsive Clickbank affiliate program resources for Stallion affiliates to promote the Stallion Responsive WordPress SEO Package. 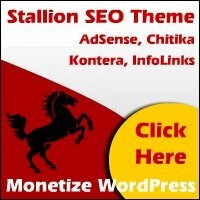 Signup for a free Clickbank account at clickbank.com and earn 20% affiliate commissions by promoting the Stallion Responsive WordPress SEO Package. Why Promote Clickbank Affiliate Products? There’s only three reasons to promote Clickbank products. Every sale made through your Clickbank affiliate link (what Clickbank call a HopLink) results in a share of the sale price. With Stallion Responsive the share is 20% of the $200 price tag. I’ve promoted a number of Clickbank affiliate products and you can make a decent amount of money through affiliate sales, all depends on how much effort you put in and what the niche of your websites are. Obviously Stallion Responsive is aimed at webmasters, if you run a website about knitting patterns and just add one of the Stallion banner links below on a sidebar, you are highly unlikely to make affiliate sales. In 2014 most of the online world have become blind to banner ads (they used to work, not so much now), you have to pre sell a product like a car sales person prior to sending your traffic via your Clickbank HopLink. I’ve found the best way to promote affiliate products are well written product reviews after using the product. I played World of Warcraft and used leveling guides that I bought via Clickbank (which mean they had an affiliate program), since I was using the leveling guides it made a lot of sense to promote them via a World of Warcraft Leveling Guide Review. Writing affiliate product reviews like the one above is very effective at generating Clickbank sales. Firstly you have a webpage about the product you are reviewing, this can generate relevant Google traffic for free. If a search engine visitor finds my World of Warcraft affiliate product review with a relevant search they are already qualified as someone looking for that sort of product. Secondly you can pre sell the affiliate product before your visitor clicks the affiliate HopLink. As a user of the product you can explain why it’s worth spending their hard earned cash buying it. To put things into perspective you are reading this webpage because you are interested in making money promoting Clickbank affiliate product, you might have never heard of Stallion Responsive and found your way here via a more general Clickbank affiliate SERP. If I had a banner ad for a World of Warcraft leveling guide on my sidebar would you click it? Probably not, although I have a couple of articles about the game here, 99% of my visitors are NOT looking for game information, they are mostly looking for SEO information. To sell the leveling guide I must pre sell first and I do this using reviews. Since most of my traffic is SEO relevant promoting an SEO Package via a banner ad might work, but it won’t be as effective as pre selling first via a review for example. 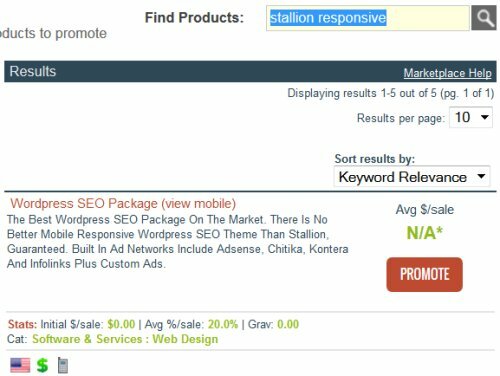 If you are a Stallion Responsive WordPress SEO Package user you are the perfect person to pre sell Stallion Responsive before your visitor clicks your hoplink to the SEO Package Sales Page (where your HopLink goes). I used to include built in banner adds and links within the SEO Package (footer links and sidebar banner ads) and the conversion is rubbish because there’s no pre selling. If you want to use banner type ads there’s some below, but I’ve found reviews and simple text links using your HopLink are far more effective. There are several ways to create a Stallion Responsive HopLink. You can go to the Clickbank marketplace, search “Stallion Responsive”. Click the red “Promote” button associated with the WordPress SEO Package Product and add your Clickbank Username (I have Clickbank username called Morearning) and something in the Tracking ID if you need to track which page you are adding links to (you can create multiple HopLinks with different Tracking IDs to track different links effectiveness). After clicking “Create” you’ll have an encrypted Clickbank HopLink. The second line is the entire HTML code for a text link with anchor text Click Here! Don’t use my code above, you have to make your own by adding your Clickbank Username so you benefit from the sales. 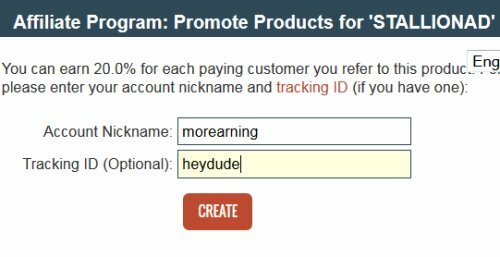 Replace “CLICKBANKUSERNAME” with your Clickbank username and you have a valid HopLink for your Clickbank account. That’s as simple as it gets, it’s a simple text link. Concerned you aren’t getting the affiliate sale. Click your link with the format above and click the “Buy Now Button” on the webpage that loads. This takes you to Clickbank to buy Stallion Responsive. Scroll to the bottom of the page and if your HopLink is working you’ll see your Clickbank username and the Tracking ID (if you used one). Replace domain.com with your domainname. Right click the image to the right and Save it to your computer. Upload this file to your site and use the code below to load it. if you upload to another folder change the location. Be sure to change CLICKBANKUSERNAME to your Clickbank username and domain.com to your domain name. float:right; = Float right with the text wrapping around the image to the left. float:left; = Float left with the text wrapping around the image to the right. text-align:center; = Center align the image. Drop a comment if you run into any problems. I just submitted Stallion to the Clickbank affiliate program marketplace for approval, assuming no problems says it takes three to five business days for approval (so should be active before next weekend). If you wish to be informed when it’s active please join the mailing list on the top right menu. I’ve included several Stallion Ad banners with the theme in the folder /stallion-cbaf/ (there’s also a text file in that folder with example hop links). I’m using two of the banner ads on this site that appear roughly 10 seconds after the page loads. When you set your Clickbank username on the main Stallion Theme options page those banners turn into affiliate links (uses your Clickbank hop link code so you receive a share of the revenue), also the Stallion footer links becomes a Clickbank hop link as well (note: you don’t have to turn Clickbank on, just set your Clickbank username). The two Stallion ad banners are built in widgets (“Stallion Affiliate Banner” and “Stallion Affiliate Banner for Content Ad Widget”) can be added to the widget areas found in the widgets page under “Appearance” >> “Widgets”. If you are a Talian 5 user you should definitely checkout the new widget areas in Stallion 6, it opens up a lot of new possibilities not available in Talian 5 as we’ve gone from two widget areas (left and right sidebar) to NINE widget areas including 4 specifically designed for adding custom ads and the built in widget ads. 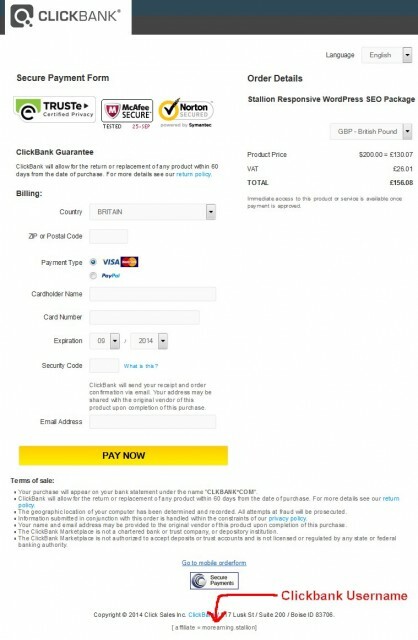 Where is the Clickbank order button put for Stallion Theme? I have just successfully uploaded the Stallion on my another blog via ftp and activate it with my ID, then I have also tried to running my blog successfully and then I saw one Stallion banner image on the top right sidebar provided with my Clickbank user ID when I hovered over it. Then I clicked that image and I was redirected to the this Stallion homepage url but I didn’t find any Clickbank order button within the page. Have you put the order button in the Stallion homepage or not yet? Where can I find it? Welcome to my nightmare working with Clickbank, been trying to get Clickbank to approve Stallion for sale for I think two weeks now! there’s a 3-6 working day period for the approval process, which works out about a week before they get to a new affiliate product. First issue was my fault it wasn’t approved, had to move dedicated servers twice, then move this site to Godaddy as the 2nd dedicated server is still playing up. Nameservers hadn’t propagated when Clickbank checked the website (it was running fine on Godaddy, but DNS changes can take 48 hours to propagate worldwide). Think that was Thursday when they checked. The weekend passes which they don’t work on apparently, on Monday I’m informed everything is working, but they don’t like the $1,000 guarantee on the sales page. It’s become clear they check a website once in a working day max (I’ve been responding to their queries within an hour). I remove the offer text so it will approve faster with a note I’d like to discuss re-adding the text after approval (pretty clear I wasn’t going to add it without a discussion first). Tuesday receive a comment I can’t add an offer like that and I have to agree not to add it after approval, no approval. Within an hour I’ve posted a comment I won’t add the text (not impressed) and now it’s Wednesday waiting for them to check again. Unless something else goes wrong the payment buttons should be up today. I’ve also put out an updated version of Stallion, if you are on the Aweber mailing list you’ve received the details. the mailing list is the only way I’ll be informing customers by email of updates etc…, so if you haven’t joined you won’t be informed of the free updates. What is wrong with an offer that if anyone can find a WordPress SEO theme with all the SEO features of Stallion and one more SEO feature I’ll pay them $1,000 via PayPal? Stallion is by far the best WordPress SEO theme available, all other WordPress themes are years behind what I’m doing (most are no better than TwentyTen). Had the same offer, but $500 for Talian 5 and no one could claim it (a few tried with an ad theme that the SEO wasn’t very good on). As soon as Clickbank approves Stallion the payment links go up. 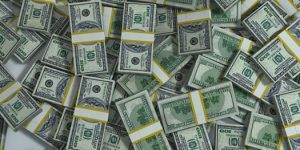 I could have added PayPal links at anytime, but as many of my Talian customers will have added Clickbank hop links to this site I’d be ripping them off their affiliate revenue. As it is I’m loosing sales waiting for Clickbank to approve, but it’s the ethical thing to do! Can you just put a clickable affiliate code into “Apperance>>Widgets>>Banner Ad Widget” without having a already made-up banner for the uploads/my-banner-image.jpg area? Just letting the code load the affiliate banner. You can if the affiliate allows you to hotlink their banner images (many don’t). Personally I always upload to my own website so the image is always the image I expect it to be and if the affiliate deletes the image your copy is safe on your websites server. If you don’t want to mess around with uploading images using FTP create a new Static Page (“Pages” >> “Add New”), call it something like “Temp Images” and set to “Visibility : Private” (this will stop anyone seeing it on your blog if you accidentally publish it). You can use that type of image URL for your banner images, just copy and paste it into a custom ad widget for example, sort of hotlinking to your own website. Thanks for the reply. If I understand you correctly it would be better for me to make the image/banner and put the affiliate code into the banner ad widget myself? Is this what you mean? Cant seem to get rid of the the Stallion clickbank affiliate banner on right column. checked and deactivated clickbank , do not see any widgets activated. Also, is it possible to get rid of Stallion theme info on very bottom of footer area? Those are all Stallion options on the various Stallion options pages and widgets. For the Stallion Clickbank affiliate link build your widgets under your dashboard Appearance >> Widgets. If you aren’t familiar with widgets drag and drop a couple of widgets to the left and right sidebar, check your home page and it should make sense. To remove the Stallion theme link in the footer under the Stallion clickbank Options page there’s a setting near the bottom to turn it off.